Baby, its cold outside—and the last thing you want to do is return home to a frosty house. The smart time to examine and evaluate your furnace is before the unit fails, not when a problem arises and the mercury outside and even indoors is dipping down to sub-zero levels! Have a picture of your furnace? Ask the Bob Vila Forum for help identifying the unit’s age! Start Here. So how do you know when furnace replacement is in order? Since your furnace was probably in place when you moved in, the first thing to do is find out the age of your unit. This may be as simple as looking at the original owner’s manual or calling the manufacturer with the unit’s model number, but with individual cases, some additional sleuthing may be required. Average Lifespan. Today’s models operate reliably for 20 to 30 years. If your unit is more than 15 years old, it’s not a bad idea to begin considering furnace replacement options. Energy Efficiency. According to the U.S. Energy Star program, a new Energy Star-qualified gas furnace is typically 15% more efficient than a conventional gas furnace, and an Energy Star-certified oil furnace is up to 4% more efficient than a baseline model. 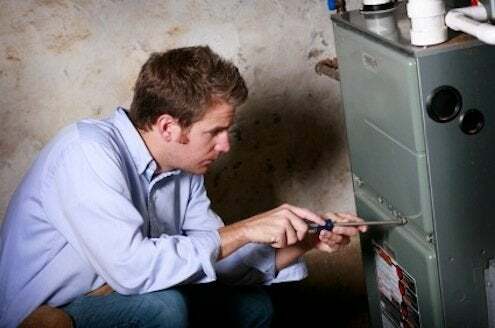 According to the Environmental Protection Agency, a new Energy Star gas furnace will save an average of $94 in energy costs per year, while a new Energy Star oil furnace saves an average of $66. • If your furnace needs frequent repairs. • If your energy bills are going up despite usage staying the same. • If the rooms in your house are heating unevenly, with some rooms hotter or colder than others. • If your furnace is cycling on and off more frequently than in the past. • If your home is starting to have humidity problems. • If your furnace becomes excessively noisy or develops rattles, buzzes, or hums. • If your furnace starts putting out excessive dust, soot, dirt or rust particles. 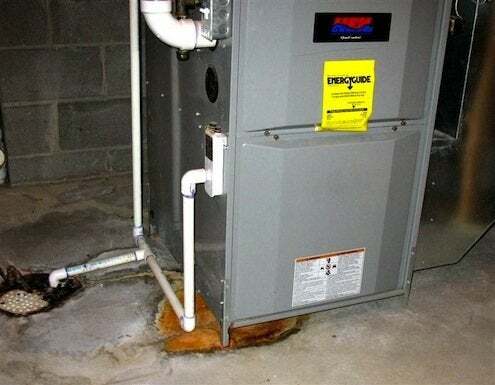 • If you see visible signs of rust in and around your furnace, or if any of the components show cracks or corrosion. Pros Know. If your furnace is exhibiting any of these “warning signs,” call in an HVAC professional to inspect the unit. A simple repair may be able to solve your problem; in other cases, changing the filter or adding a new thermostat will do the trick. AFUE Rating. A professional will use a rating called AFUE (annual fuel utilization efficiency) to assess the efficiency of your existing furnace operation. If your AFUE rating is below 80%, it is time to replace your furnace with a more efficient model. New furnaces are generally ranked by efficiency: mid-efficiency furnaces average 80% efficiency; high-efficiency furnaces reach about 90% efficiency; and ultra high-efficiency furnaces improve on standard high-efficiency models with variable-speed fans and controls, which enable these units to achieve up to 97% efficiency. Contractor Estimates. Because a furnace is a major investment, you should probably get estimates from at least three reliable contractors. Written estimates should identify the brand, type, size, efficiency, rating and warranty. The estimates should also include information about removal and disposal of your old furnace; any required building permits and fees; and any changes that may be necessary to make to ductwork, chimneys, fuel delivery systems, electrical panels, thermostats or valves. The more information you have in advance, the better you’ll feel about your furnace replacement purchase! Gas vs. Oil: Which Furnace Is Better?